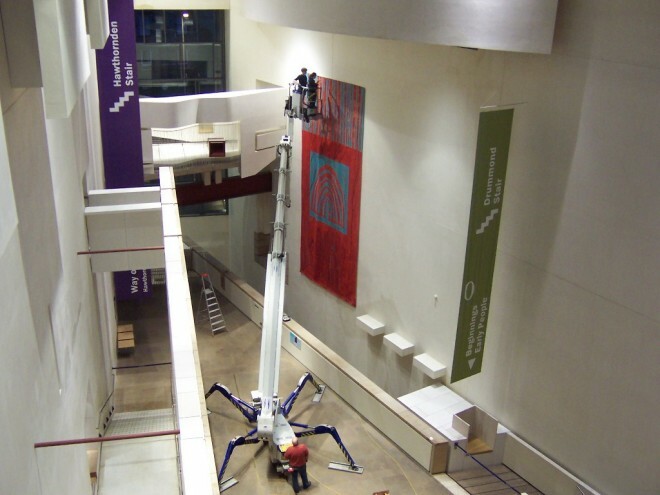 During this process, concern was raised that there was evidence of potential moth infestation on the tapestry. 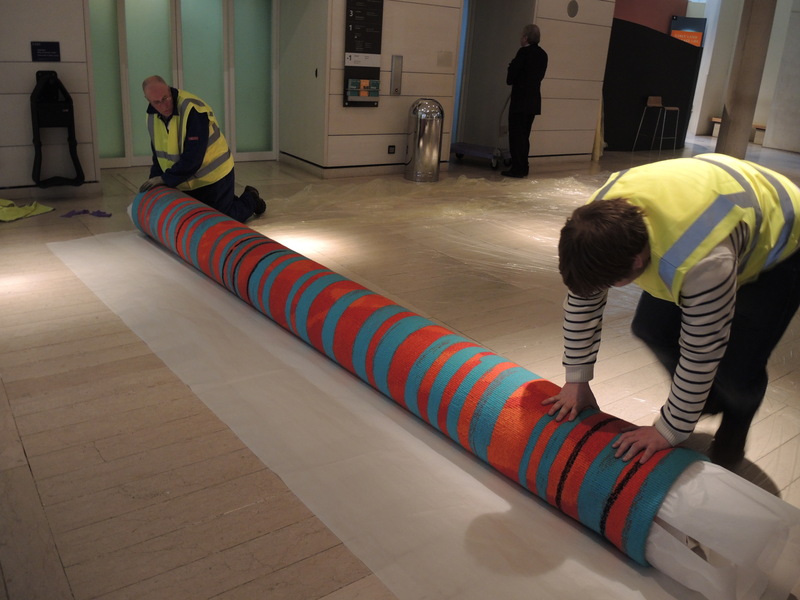 Moths are an issue for all organic museum objects, especially those made of wool like this tapestry. 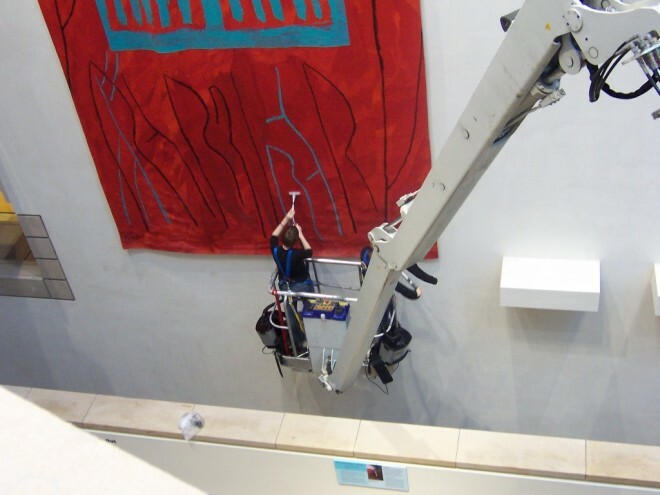 National Museums Scotland has strict guidelines for checking for pests like moths, and an active programme of checking and freezing objects to prevent an infestation occurring. We decided to take the precautionary step of taking the tapestry down so that it could be frozen, which is a standard treatment in museums. 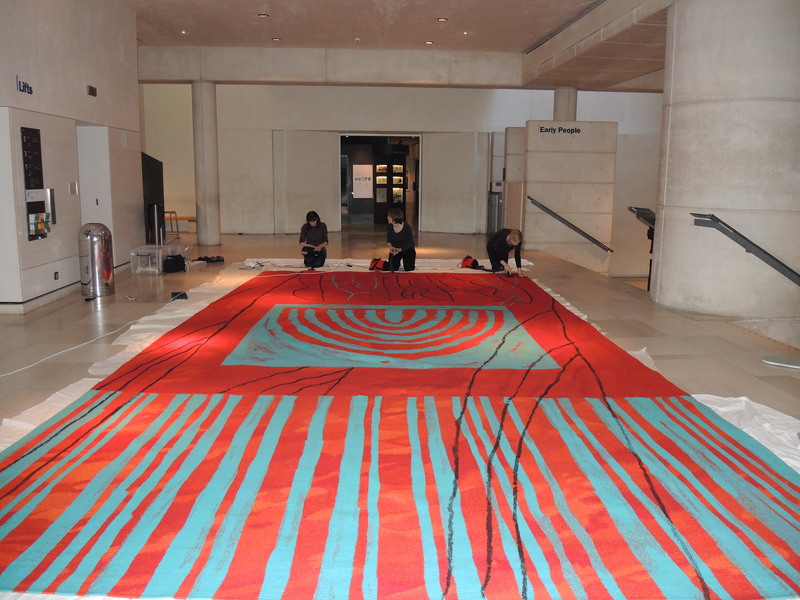 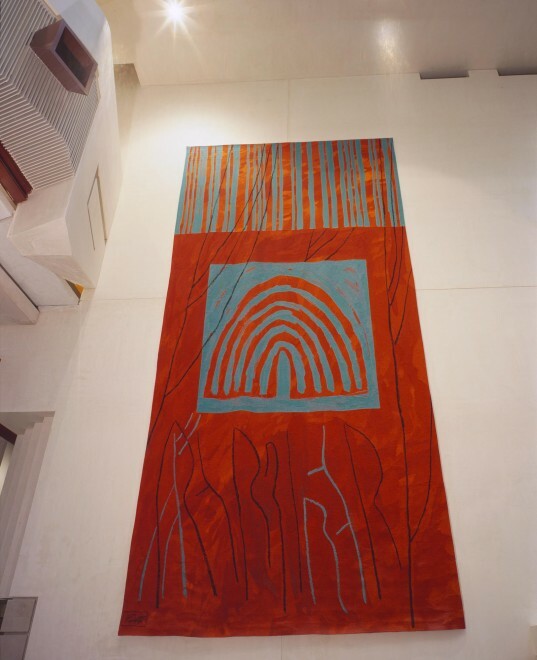 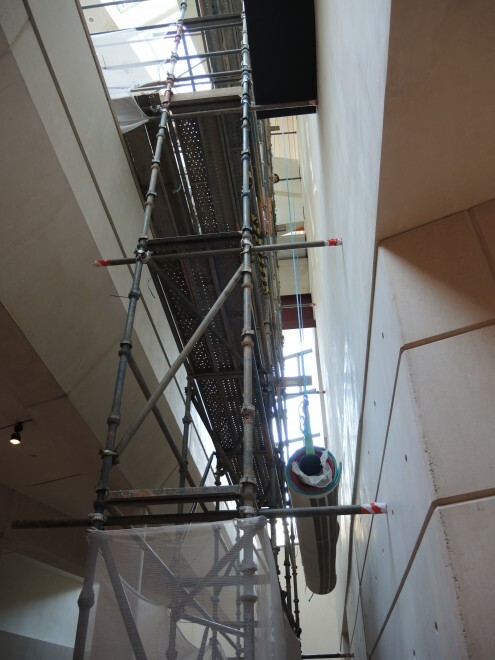 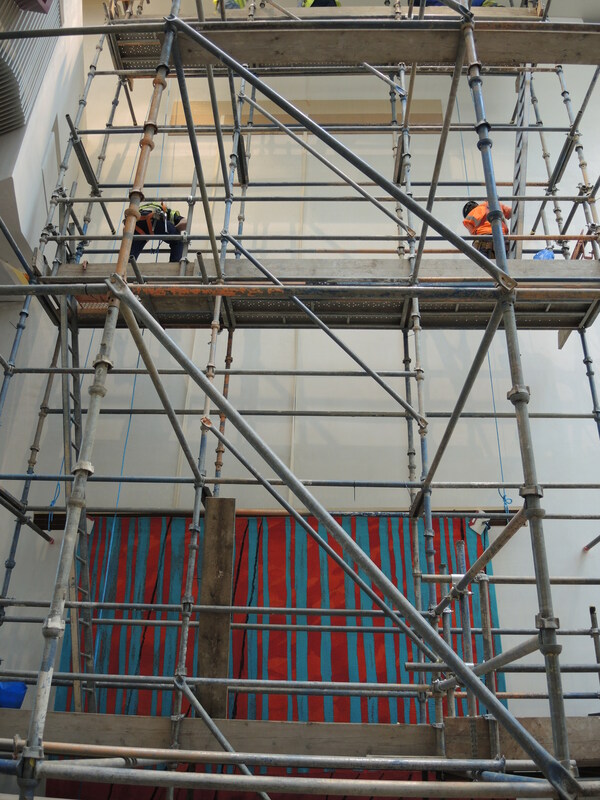 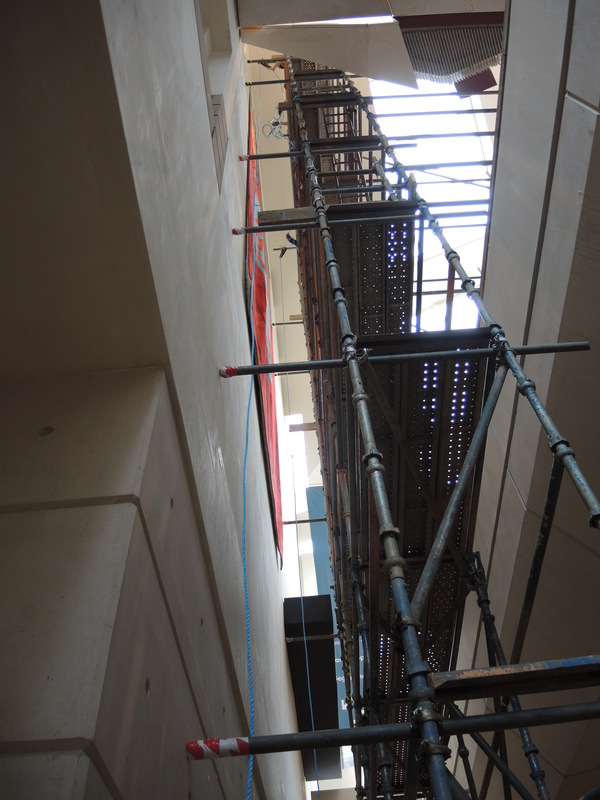 Taking the tapestry down involved the installation of a large scaffold, and the engagement of contractors T. G. McDonald Engineering Limited to manage the process, as the tapestry isn’t just large, but also heavy at about 90 kilograms. 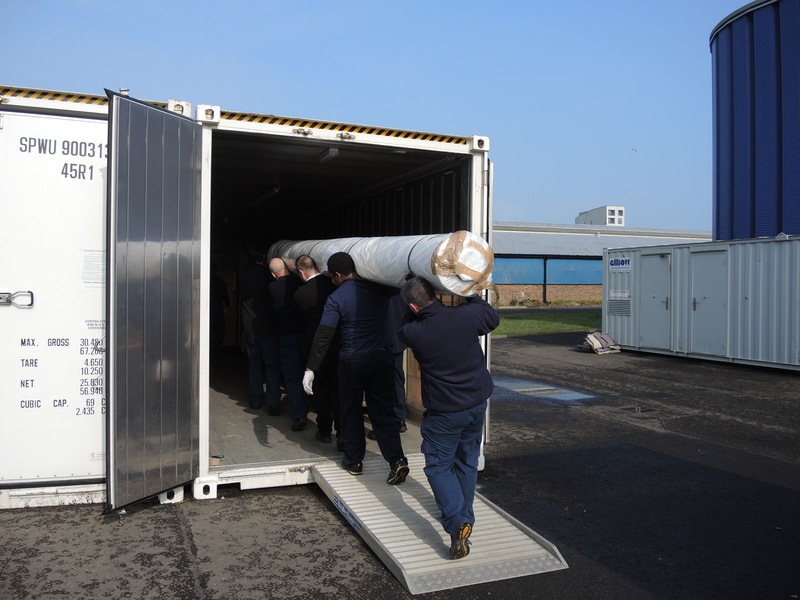 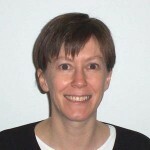 It also involved quite a team from National Museums Scotland; from Conservators to the Design and Technical teams, from Support Staff to Security and others. 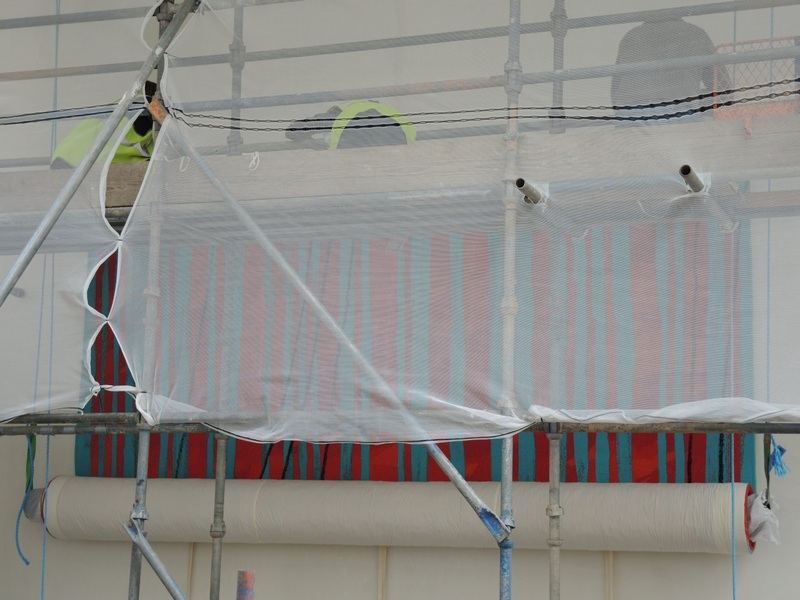 The tapestry was then rolled up for the last time and hoisted to the top of the scaffold. It was secured there with the ropes, and the existing strapping tapes were attached to the scaffold to prevent the tapestry from unrolling as the Velcro was lined up neatly and pushed into secure contact. Once this was done the strapping tapes were released and the tapestry slowly lowered, back into its hanging position.